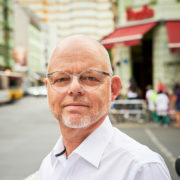 For 30 years, Holger has inspired the world of change management and organizational development. With hundreds of articles in the Internet, and countless training programmes for leaders around the world, he has had an impact on many change practitioners. Likewise, in his work with large multi-national companies and global NGOs, he has supported the development of leadership and collaboration skills.